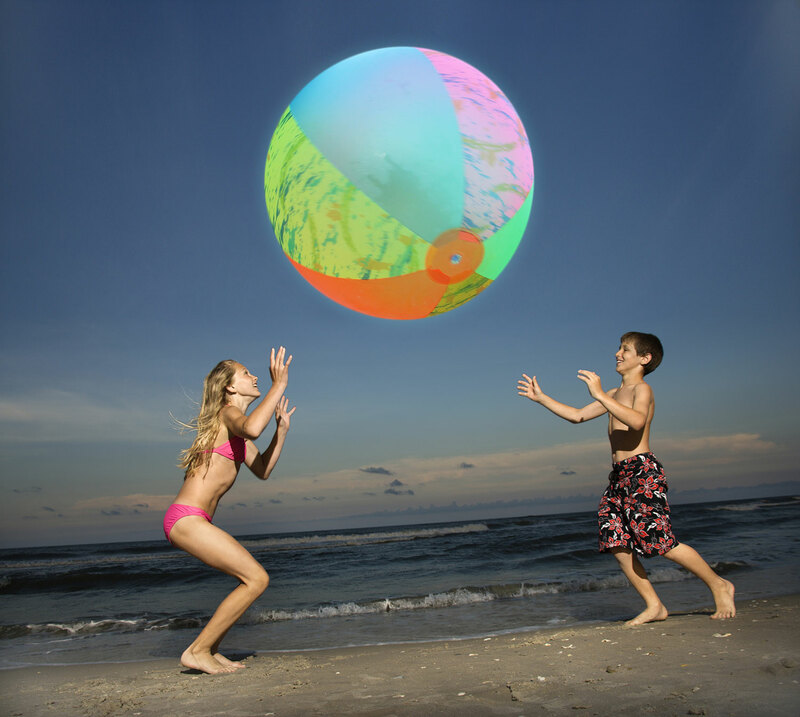 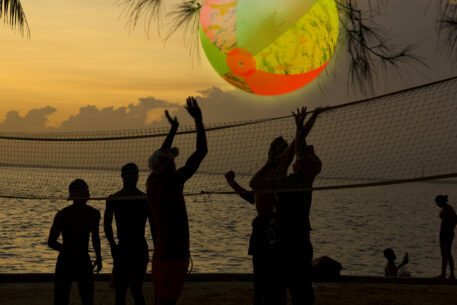 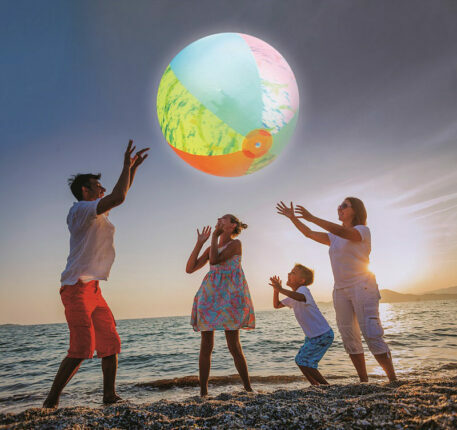 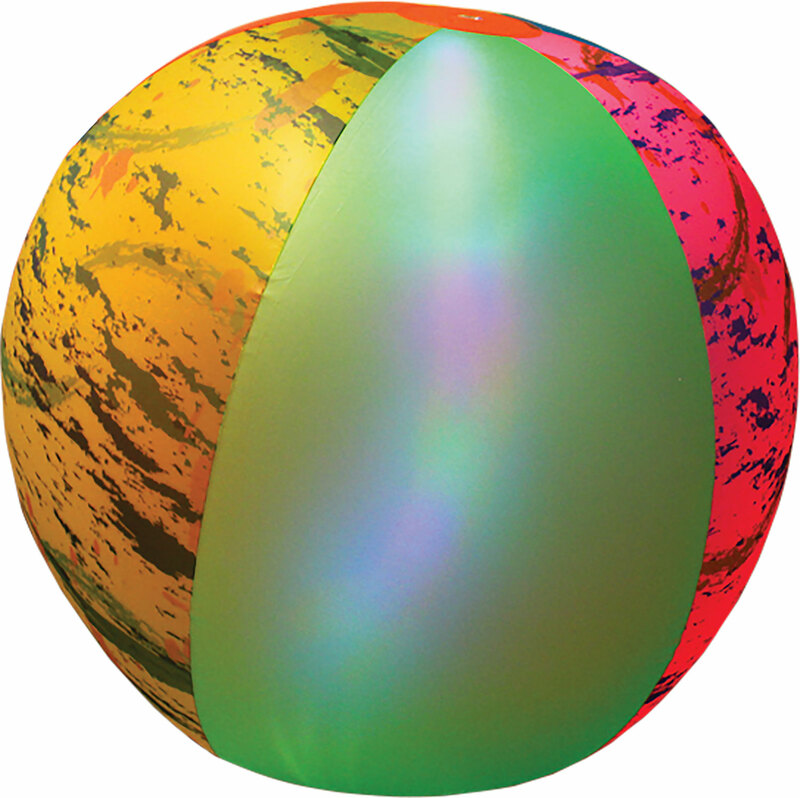 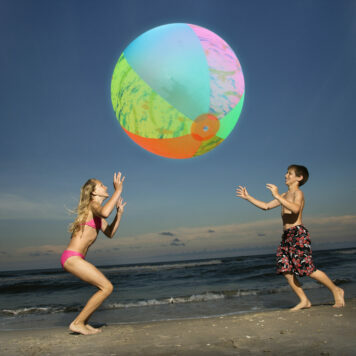 3′ tall beach ball is unlike any you’ve ever seen! 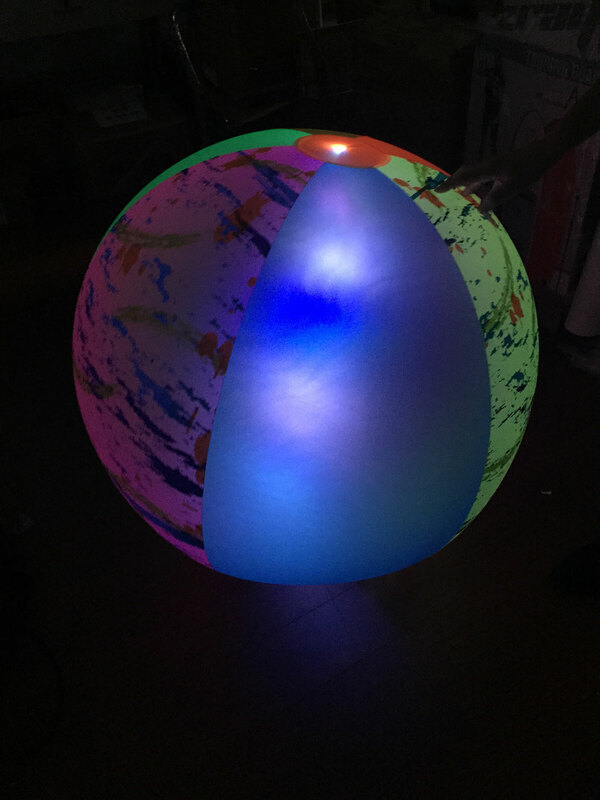 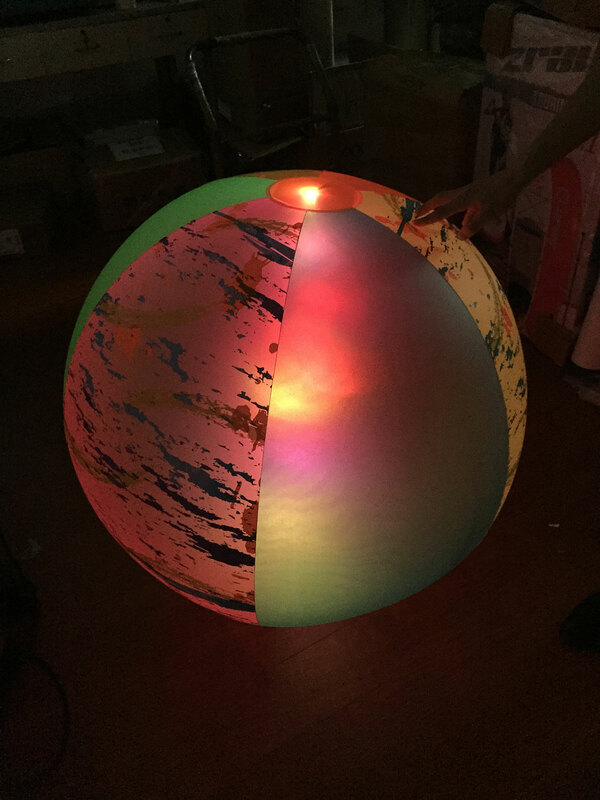 Super bounce ball features frosted neon panels with dozens of LED rice lights inside for fun well into the night. 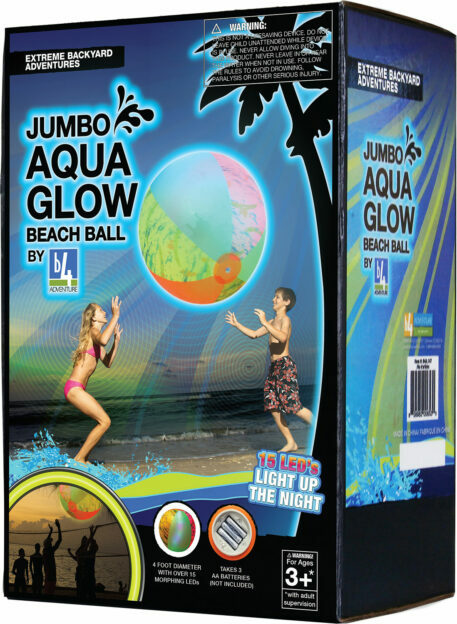 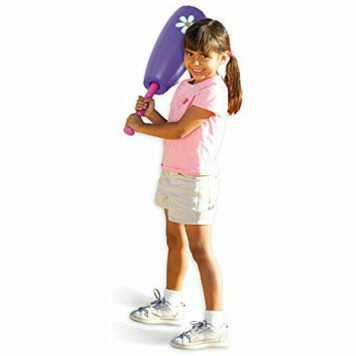 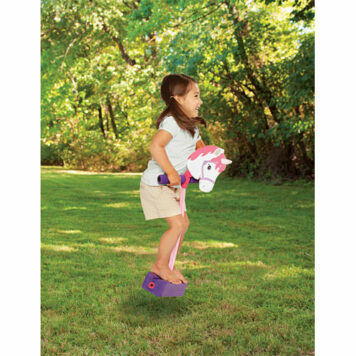 Fun for ages 3+. 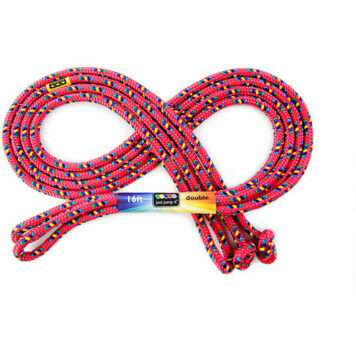 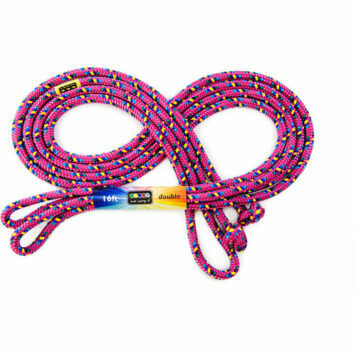 Takes 3 AAA batteries.